I mentioned on Thursday how nervous I’m starting to get about my surgery next week… and now that the day is getting closer, my fear is growing even more. What if they can’t find the source of the problem and fix it? After a lot of really painful testing, my doctors think they have an idea of what’s wrong, but they’ve also admitted that mine isn’t a standard case and the surgeon basically is not going to know what he needs to do until he actually opens up my arm and can start poking around. Um, scary! On a positive note, I’m really happy that all the problems are at least only happening in my left (non-dominant) arm. So, even if my nerve doesn’t get fixed (or if it gets worse), it’s a much smaller impact on my lifestyle than if it were my right arm. Small favors and thinking on the bright side, right? However, there are certainly others who have much bigger problems than me… and yet they still manage to be optimistic about the outcome. I was invited to share Medtronic’s Bakken Invitation program, which honors ten people from around the world who have overcome a life-changing medical challenge and are now making a difference in their communities. Instead of seeing their illness as a one-time challenge that could then be put in the past, the Bakken Invitation honorees realized that they had been granted a second opportunity to live each day to the fullest – and changed their lifestyle accordingly. I found their stories to be really inspirational, and would definitely encourage you to go read them yourself. You can read the stories of all ten honorees here. In particular, I loved David Watkins’ story. David was a collegiate athlete who thought he was perfectly healthy… until he learned that he had actually been living with a bicuspid aortic valve his whole life. When he was diagnosed, it was pretty scary news: he was told that an aneurysm had developed and his heart’s aortic root was dangerously close to rupturing. This really hit close to home for me; my father has undergone several heart attacks and my own doctor has told me that I have some abnormalities in my heart valves. Furthermore, a seemingly very healthy friend I had in high school died of heart problems while running the Army Ten Miler in Washington, DC. Just because you’re an athlete doesn’t mean that you’re safe from heart problems! You don’t need a life-altering moment to start living your legacy, or to give back to the community. Medtronic rewarded the ten honorees with a $20,000 grant each for their designated charity… but they also want to support smaller efforts as well. 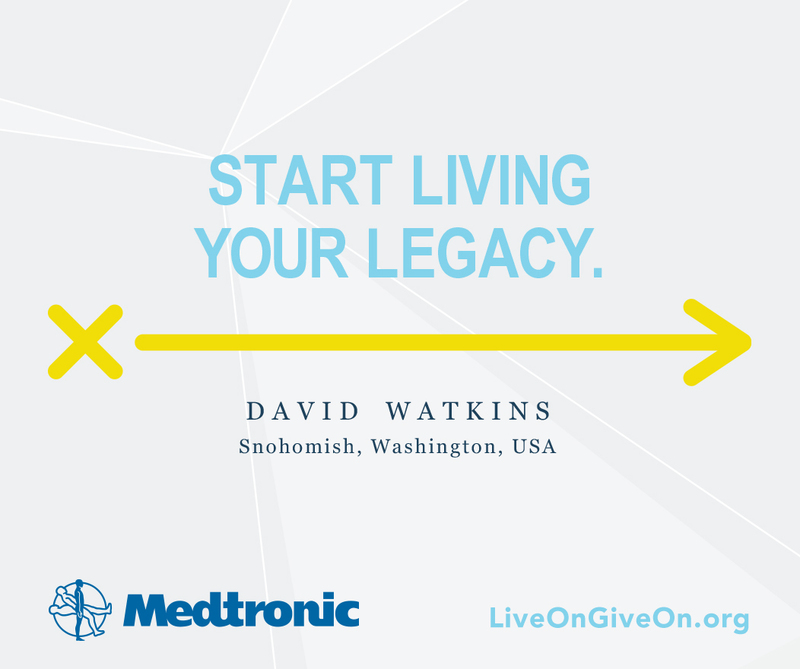 Medtronic is generously providing a $100 Visa gift card to one 50by25 reader, to be used for you to make a difference in your own community. The winner is free to choose how the money is spent, but it should benefit the community in some way. To enter, you’ll need to click through from your reader/email and use the Rafflecopter widget below. Entries will close in one week, and the winner will be chosen next Saturday, December 20 extended to Saturday, December 27! 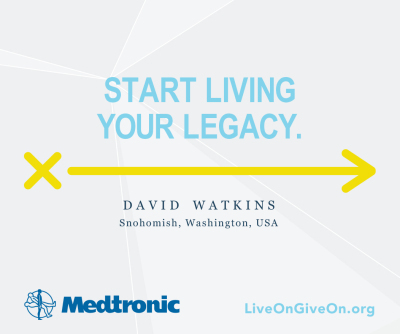 Thank you to Medtronic for sponsoring today’s post and inspiring us to give back to our communities! I volunteer at a local school and donate Christmas presents during the holiday season to those in need. I hope to get more involved with the community over the next year. I donate money through United Way, and I volunteer a few times each season (serving meals, helping kids, etc.). We give back to our community in several different ways.. we volunteer at a food giveaway site and help serve meals. I am an avid gardener and give some of what was bessed to me back to the food bank. We also love giving to Toys for Tots . Theres a long story involved there but years ago when I was a child our family got toys and I will never forget them. I also do TNR and socialize kittens out of pocket and maintain a feral cat colony (TNR is trap nueter release) I have done that well over 20 years . We do quite a but, and try to do more. So many people are hurting, and although we have little it is a pleasure to do what we can. I donate to the toys for tots program. During this time of the year, I love doing the Angel Tree and buying presents for families in need! I work at a university and each year we collect toys for children and my family sponsors another family in need. I willhelp with the local food bank by donating food this Christmas season, and giving a warm blanket and a hat and gloves to the Women’s shelter with some shampoo and conditioners. I also would help by buying a really nice gift for a needy child. I am doing all these things this Christmas! I make fabric flower accessories for disadvantaged girls, homeless women, and home bound seniors. I make a few other things, too that can be for boys, too, like little pillows. In the winter, I sew fleece mittens for the mitten drives. I love to serve food from Elijah’s Promise a soup kitchen on Thanksgiving Morning and Christmas Eve/Christmas Morning. I would buy food to donate there as well as some presents for the local Ronald McDonald House as my family volunteers there for as long as I can remember and in memory of my mother who lost her battle to cancer. Wow, all of these amazing people inspire me to go after my goals and do good for others. I like David Watkins determination to overcome his obstacles and start running again. I love to do things for people that are least expecting it. I would like to make care packages for people in my grandma’s nursing home. I would include a nice card, a treat, and maybe a picture drawn by my sons. I know it would brighten their day. I donate to my local soup kitchen and give presents at my church to families in need. I donate to food banks and toy drive to help children for their holiday wishes. We give back all year around, by donating food, clothing, and this year we have been gathering coats to donate so everyone stays warm this winter season here in this Michigan cold weather. i give bank buy supporting our local food bank and charities that care for the elderly in our local hospices; my family loves to help in these areas. We give back by making donations to local shelters. We also participate in canned food drives. I Give Back To My Community By Volunteering And Donating, I Give Back To My Loved Ones By Cooking, Babysitting Or Helping Them With Errands. I donate each year to toys for tots! I donate gifts to our giving tree at church. I give back by donating food and clothing items to local shelters often. I donate food and clothes to local shelters. Tokyo, Japan . Its a powerful message that we all have some disadvantage but it caan be overcome and we can be an advocate for awareness. I give back by donating food and goods. My favorite lesson is Embrace what’s difficult by Samantha Petersen. I adopt a classroom on the Reservation and send school supplies for the teacher and students. My favorite lesson is to Embrace what is difficult. Samantha Peterson had a difficult life changing health problem and she persevered and embraced what was difficult in her life. That is what I do! my favorite lesson is to not give up; stay strong, as Haruko Sato did. She braved surgery to help to lessen the effects of her condition and keeps a very positive attitude. The lesson I took from all the stories, is that they are very similar in teaching me not to let anything hold me back. I love how they all inspire through there struggles with the helping and giving to others. I would love to give back and help a young man in our community who has autism, and has been living on his own. He just got a used car and was so proud. He lost his job last week and has been devistated. We have been helping him with food, but cannot afford to help with is car and rent. I would love to give this to him to help him get by as he is looking for a new job. He is having such a hard time, as many do not want to hire and deal with the autism issues. :( Feel so bad for him. He was doing so well. I liked Samantha Petersen’s story about her challenges with scoliosis. She had to give up her olympic dreams but she still embraced the challenges she faces. That is a lesson you can make your own, whether you are facing something as big as the huge operations she had to go through and the other effects from the scoliosis, or if your challenges are more what is considered typical, but personally overwhelming. We need to learn to go with it, instead of denying, fighting it, or being bitter, Samantha is a beautiful gal, inside and out! My family and I donate food, clothing, and toys to our community. I volunteer at my church we had a free gift wrap with our church this past weekend, we also have sponsored families for Christmas this year, as well as donate to United Way, and Holt International! My daughter visits the children’s hopsital alot so we always donate to the ronald mcdonald house and my oldest daughter is a volunteer there. We participate in the food drive in our community! 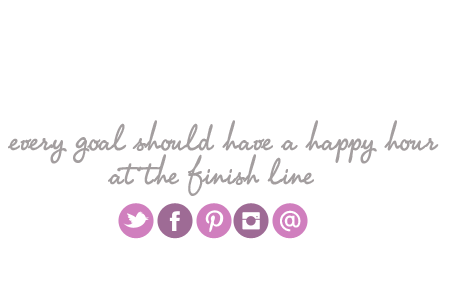 We are very involved in a local organization called Cherish Kids! It helps to raise resources and awareness for foster care and adoption. We have our daughter volunteer right along with us! She loves helping! I donate food to our local food pantry and toys to our toy convoy. The one that touches me the most is GRETCHEN MERRITT, 35 from Minnesota. My little brother was also diagnosed with Type 1 Diabetes at a young age. He has also been able to have the pump surgically implanted. I volunteer at a soup kitchen twice a month. I volunteer to walk dogs at our local shelter. I always help on Canned drives! My daughter actually has a medtronic baclofen pump. We give back by donating food & baby items year round to our church pantry & baby corner. I give back by buying cat food and treats to help feed the neighborhood cats in need. Ishow kindness to others in my everyday life, We also donate monthly to charities like the Salvation Army and St.judes. We collect items to take to the families at our local Ronald McDonald House. I donate money and toys to charity. I give back by donating personal care items to our local womens shelter, and food items to our food pantry! We make donations to local shelters and contribute to local food drives. I give back to the community through cash and goods donations. I also give back to my family by supporting my daughter and granddaughter during this time while they are in dire need. I love to give back by visiting people in a nursing home! I love krystals story! She is already helping so much with opening the clinic! I sponsor the backpack program that supplies food to 120 elementary children each week to take home for the weekends. I helped raise $21,000 in the last two years to sponsor the program. I donate items to the local shelter all year long and during xmas we sponsor a family in need. I donate food to my church’s food bank. I also donate clothes, shoes etc to a local charity organization that sells the items for only 25 cents each to help clothe people. I love Clint’s story and how he is now an advocate for people with disabilities. I like David Watkins story because he started the Ironheart Foundation.